I was always a fan of PDAs (Personal Digital Assistants) and used to own various Psion PDAs including various models of the Organizer II and Series 3, and the Series 5. 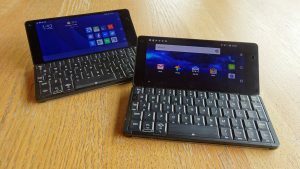 The Gemini has been created by UK startup Planet Computers, and the man behind the Psion Series 5’s legendary keyboard. It runs Android and Linux in a dual-boot system with an 18:9 (2160 x 1080) display, a 10 core CPU, 4GB Ram, and comes with 64GB storage that I have expanded with a 256GB MicroSD card. It has both Wi-Fi and 4G connectivity. In addition to being a fully-functional PDA, the Gemini is also my phone. I own three Gemini PDAs and quite literally wrote the book on them, as I’m the author of the official user guide. Find out more about the Gemini PDA. 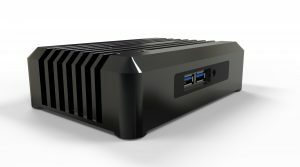 I have now backed the next generation version of the Gemini on Indiegogo. It’s called the Cosmo Communicator and includes an external touchscreen, biometric fingerprint reader, 24MP camera, backlit keyboard and has an upgraded processor, memory and storage. You can back the Cosmo Communicator yourself HERE. The Gemini works well as both a PDA and phone, but while I don’t mind being contactable by email or message as I can respond to these at my leisure, I like to be able to leave my phone at home and only carry it when it’s convenient for me. For this I have a Punkt MP-02. 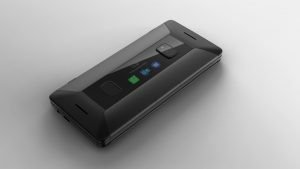 This handset runs Android but does calls and SMS texts and pretty much nothing else. This also allows me to be contactable by phone, but not over the Internet when I choose. Nothing else helps you disconnect from the online world like a basic-functionality phone. 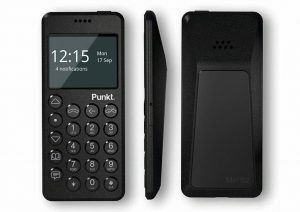 Find out more about the Punkt MP-02. 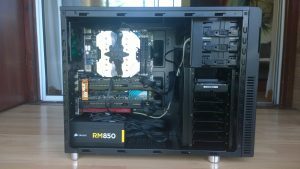 My self-build PC is now getting a bit long-in the tooth and showing its age, but it’s based around an Intel Ivy-Bridge i7 4930K processor running at 3.4GHz, 32GB Ram, an Nvidia GeForce GTX 980 graphics card various drives with the OS residing on a 500GB Samsung 840 EVO SSD. I bought this 34-inch, 21:9 ultrawide, curved monitor both for gaming (I play Elite: Dangerous a lot) but also for work (spreadsheets look amazing). It has a resolution of 3440 x 1440 and provides an excellent wrap-around workspace. 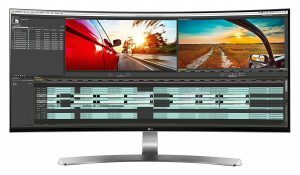 Find out more about the LG 34UC88 Monitor. I take my music as seriously as my gaming, and buy 24-bit audio online. 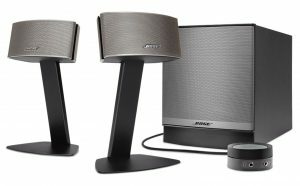 My speakers therefore had to be great, so I chose the Bose Companion 50 PC speaker 2.1 set. Find out more about the Bose Companion 50 Speakers. 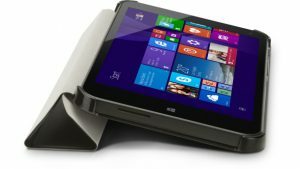 I primarily use the Surface Go for watching TV and video in my office, because it’s small enough to fit comfortably under my monitor, and has a truly excellent screen. 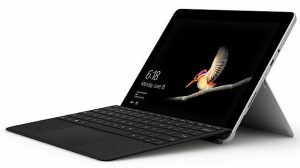 However this is also a mobile device for project work where it is required, for use with the Surface Go keyboard and pen. Find out more about the Microsoft Surface Go. Tucked away, strapped to the back of my living room TV, and running Windows 7 Media Centre is an Intel NUC that I use just for watching TV and video. It has a Core i5 processor with 8GB Ram and a 250GB M.2 SSD. 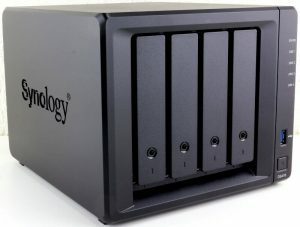 For storage at my home / office, and for video streaming I rely on a Synology DiskStation DS418, 4-bay NAS drive equipped with 48TB of storage in a mirrored array. I’ve had a variety of NAS drives over the years but this is my first four-bay unit. Find out more about the Synology DiskStation DS418. Okay I’ll admit it, I won this in a Microsoft giveaway. I’m not complaining though. It might not get used much for games, though we’ve enjoyed Elite: Dangerous, Cuphead, and Star Wars Battlefront on it. I use it mostly to watch 4K Blu-Ray movies, and it’s an excellent player. Find out more about the Microsoft Xbox One X. Again this HP Stream 7 is getting a bit old, and it’s only used as a test-machine when I need to write about Windows 10 running on screens smaller than 10-inches. 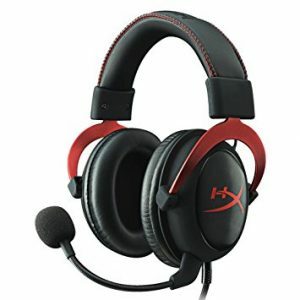 The Hyper-X Cloud II headset is a really fantastic set of headphones, featuring simulated 7.1 surround sound, and useful features such as both a 3.5mm connector, and a USB connector. Perhaps most useful for me, for the occasional conference call, is that the microphone is detachable. Why did I choose this headset though? To be honest I won it in a competition, tried it, and loved it. Find out more about Hyper-X Headsets. When I’m recording video courseware I need top of the line recording equipment, and for this I turn to my Olympus LS14 and LS100 professional recorders. 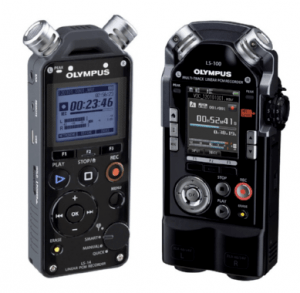 Find out more about high-end Olympus audio recorders. 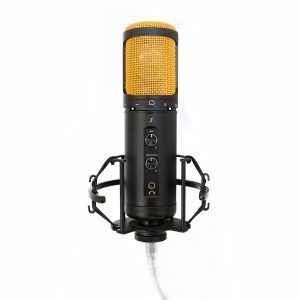 Additionally to the Olympus recorders, I have an EditorsKeys SL600 condenser USB microsphone, which is also top of the line. Find out more about the EditorsKeys SL600. I’ve had the JVC GC-PX100 video camera almost since the first day it was released. It’s a bit older now and can’t record 4K video, but it’s an excellent camera for any video work, outdoors or in the studio. I will likely sell this camera later this year or early next year though, as I’m keenly eyeing up the new Blackmagic Pocket Cinema Camera 4K. 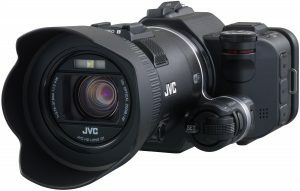 Find out more about the JVC GC-PX100. 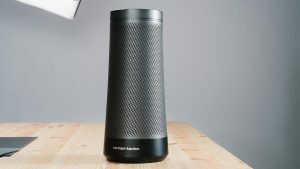 While it lacks the skills of Alexa or Google Home, my smart speaker of choice is definitely the Harmon Kardon Invoke with Cortana, and I own three of them. The integration with Microsoft services swung it for me, and being able to set reminders that will alert me on whatever device I’m using at the time, and add items to my Cortana To-Do list are features I personally find invaluable. Find out more about the Harmon Kardon Invoke.